Don’t sort through a list of a hundred different Serger & Overlock machines; we have done that for you already! 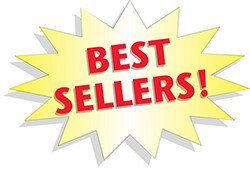 The list below is the best selling Serger & Overlock machines. They have the highest rated reviews so you can’t go wrong purchasing a Serger & Overlock machine from this list.